Toni has been creating baskets for over 50 years. 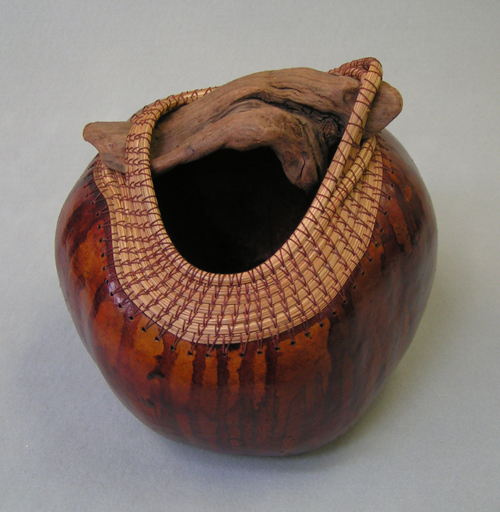 Starting with reed, she now specializes in pine needle coiling, and coiling on gourds while showing the influence of Native American styles and her own imagination. Presently, she exhibits at shows around the state, and teaches classes at her studio in Visalia, California, as well as around the state. This entry was posted in News and tagged Toni Best. Bookmark the permalink.